﻿ Annie's Annuals & Perennials: Less is More Garden Design! Less is More Garden Design! Susan Morrison on Saturday August 18 at 11 am! Have a small backyard, front yard or side yard just begging for a makeover? 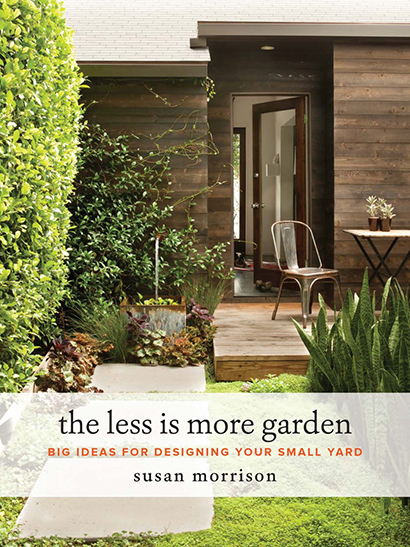 Landscape designer Susan Morrison, author of The Less is More Garden: Big Ideas for Designing Your Small Yard, joins us at the nursery on Saturday, August 18 at 11 am to show you how to turn a modest yard into a lush, inviting haven! Susan will share strategies for small-space designs that incorporate some of her favorite high-performing, problem-solving Annie's plants, including the best narrow space, double duty, kid-friendly and low-water options. Bonus! Book signing and raffle to follow, just show up by 11 am to snag a free raffle ticket! Choice Plants for Small Spaces! Whimsical whorls of lavender flowers emerge from a low-growing mat of deeply quilted sage-green foliage. Effortlessly gorgeous, aromatic, and needs NO SUMMER WATER! Small in stature, big in flavor! 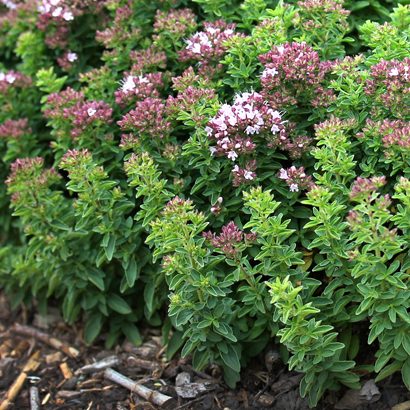 Growing only about 6" high, this compact culinary oregano becomes a little slice of bee heaven when it bursts into glorious pink bloom in Summer. Hardy to zone 5! Enjoy tiny snackable fruits almost all year! 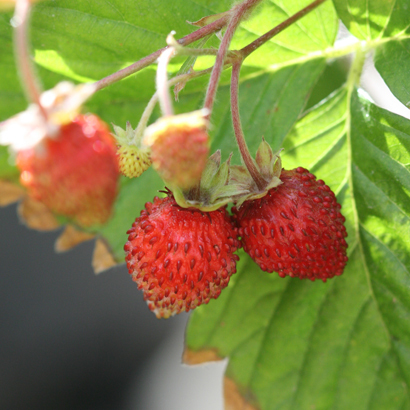 Forming dense mounds of showy foliage under which tasty treasures is hid, these "Alpine Strawberries" are much sweeter than the larger-fruited cousins! Happy in dappled sun, low-maintenance, and perpetually pretty. 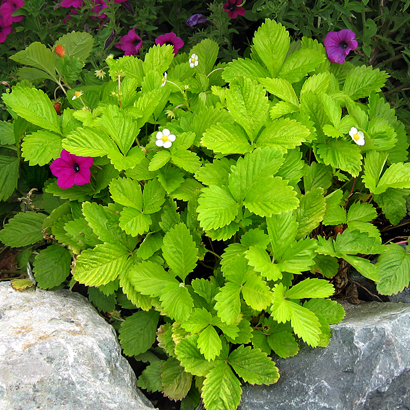 The bright green foliage of 'Golden Alexandria' brightens up any bed while 'Improved Rugen' boasts larger 1" fruits. 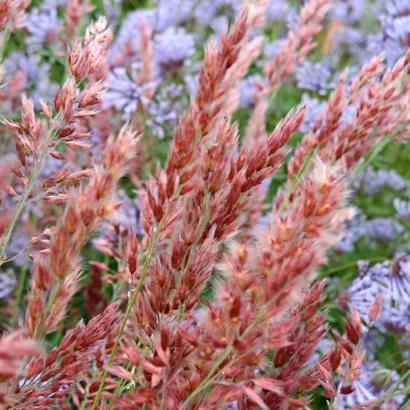 The softest, prettiest blooms of any grass we grow! 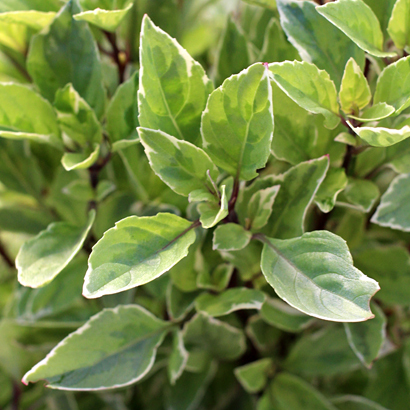 Forming a lovely 2' high and wide mound of grey-green foliage. In Summer soft and shimmery dusty-rose blooms emerge on long, arching stems. Gorgeous in floral arrangements! 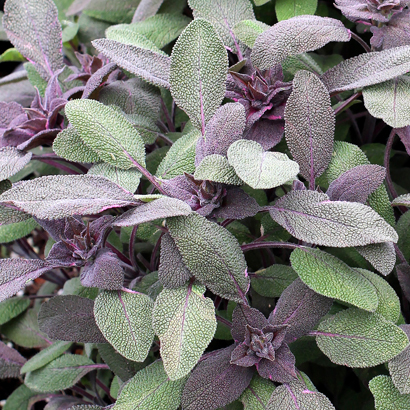 Once you’ve cooked with fresh sage, there’s no going back! 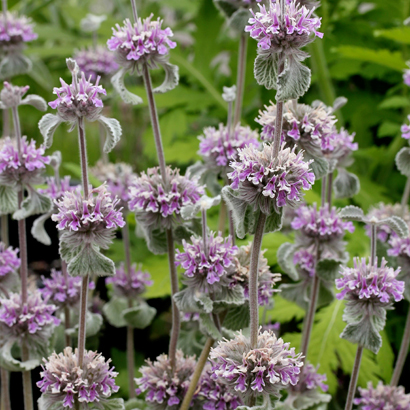 This highly ornamental compact variety stays under 2’ tall & wide forming a dense mound of smoky grey and purple leaves. Pretty enough to eat - and you should! 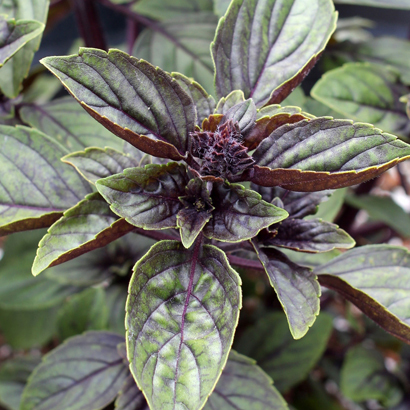 A cold hardy basil perfect for foggy coastal gardens! And it's the most floriferous basil we've ever seen, producing zillions of magenta blooms beloved by bees. Does not set seeds and thus keeps growing/blooming until frost! The perfect pesto basil! This sterile variety keeps producing right up until first frost, with highly ornamental white-edged leaves on chocolate-hued stems and an upright columnar habit. It's so attractive that you may grow it for its looks alone. come on down to the nursery! Bay Area Friends! 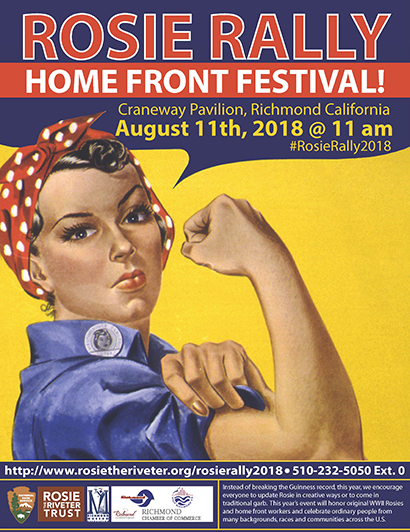 Come on down to Richmond this weekend for the Rosie Rally Homefront Festival on Saturday, August 11 from 11-4 at the Craneway Pavillion and historic Rosie the Riveter/WWII Home Front National Historical Park. A fantastic day on the waterfront will feature costume contests, swing dance lessons and history hikes! *Offer good August 11, 2018 in the nursery only, cannot be combined with other offers and sales. PS: Make sure to add mailinglist@anniesannuals.com to your address book! That way, you are sure to receive messages and updates from us.